Former Italian PM Silvio Berlusconi defended Italian fascist leader, Benito Mussolini as he spoke at a Holocaust remembrance ceremony. Other than passing ‘racial laws’ the Italian dictator “did good” in many ways, he said, provoking outrage. Berlusconi, currently the leader of the center-right People of Freedom party, didn’t think twice as he defended one of the key figures of fascism on the International Holocaust Remembrance Day. He went as far as to advocate Mussolini’s alliance with Hitler, implying the dictator had little choice. It is through this alliance that the anti-Jewish laws had to be imposed, Berlusconi added, placing the blame on Germany’s Nazi regime. 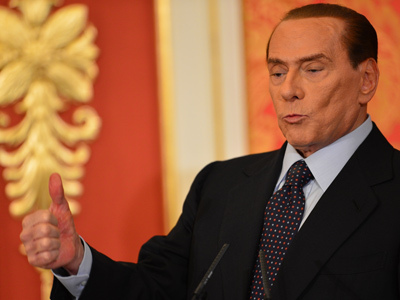 “Thus, the racial laws are the worst fault of Mussolini, who, in so many other aspects, did good,” Berlusconi said. Under the 1938 laws imposing oppressive restrictions on Jews, Mussolini’s government started persecuting Italy’s Jewish population and deported up to 10,000 people, most of whom died in concentration camps. Italy, however, “does not have the same responsibilities as Germany,” the politician and media tycoon Berlusconi claimed. He didn’t elaborate on what aspects of Mussolini’s rule, characterized by aggressive nationalism, a harsh police state and neo-imperialistic overseas wars, he actually preferred. 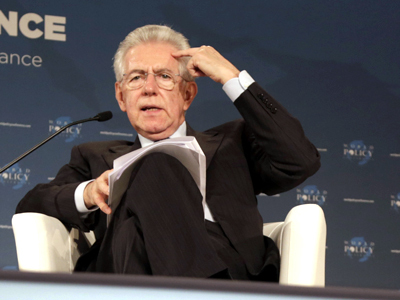 Berlusconi’s comments have sparked outrage among Italian public figures. While the former prime minister is known for outspoken statements, including comments in favor of Mussolini he’s made before, some Italian politicians said he’s gone too far. As it is outlawed in Italy to encourage Fascism in any form, a candidate for local elections Gianfranco Mascia pledged to see Berlusconi prosecuted for his words by filing a formal complaint. “Only Berlusconi's political cynicism, combined with the worst historic revisionism, could separate the shame of the racist laws from the Fascist dictatorship,” a center-left leader Rosy Bindi was quoted as saying by AP. “Our republic is based on the struggle against Nazi fascism and these are intolerable remarks which are incompatible with leadership of democratic political forces,” PD’s spokesman, Marco Meloni said. Monuments to “Il Duce” Mussolini still stand in many Italian cities, including Rome, and some factions of Italian parliament trace their history back to the Italian Social Movement (MSI), which grew out of the fascist party. But Berlusconi is one of the very few openly sympathizing with the Italian dictator. 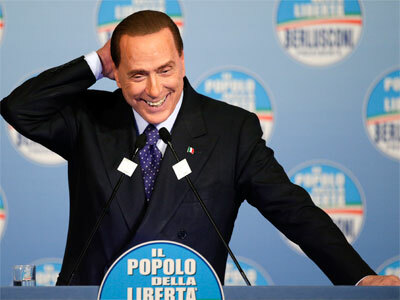 In recent national polls, ahead of February’s election, Berlusconi’s coalition came second.